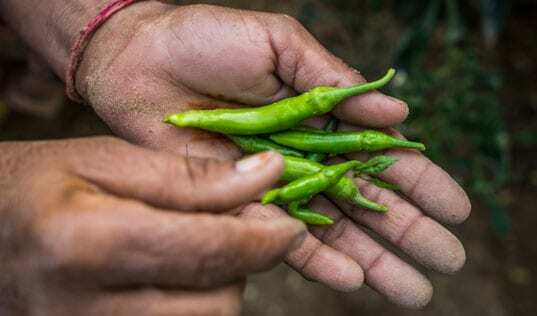 In India, Technoserve is working in remote villages to directly connect them with formal markets for the first time, creating a sustainable, prosperous value chain for indigenous non-timber forest products. Large swathes of central India remain thickly forested, especially in the states of Chhattisgarh and Jharkhand. Living in small hamlets, the Adivasis – the indigenous people of the region – are mostly marginal farmers, depending on rain-fed agriculture for one season, then earning additional income from non-timber forest products (NTFP) or government employment schemes throughout the rest of the year. Situated far from trading hubs and markets, these communities have historically depended on middlemen and – lacking direct access to markets themselves – have often been short-changed, receiving little income for their hard work and production. As part of the National Rural Livelihoods Mission of the Government of India, TechnoServe has been developing commodity value chains and market linkages in association with government agencies in Chhattisgarh and Jharkhand. Through this initiative, TechnoServe is setting up Value Chain Support Cells (VCSC) for the sustainable development of the agricultural, livestock, and non-timber forest products value chains. These VCSC create market linkages and provide technical assistance, capacity-building services and handholding support to State Rural Livelihood Missions (SRLMs) working in these sectors, with the objective of creating profitable, bankable, and self-sustaining commodity chains. Budhanti Bhagel, aged 40, lives in Sudhapal village in Chhattisgarh state, she collects raw mango as NTFP to provide an additional source of income during the lean agricultural period between February and May. Like many farmers in her community, she collects raw mango from the forests, de-seeds the fruit, and leaves the peeled, sliced fruit segments out to dry in the sun. The dried mango is then ready for procurement, to be further processed and converted into Amchur – a fruity powdered spice that in Hindi literally means “mango crushed into powder,” and is widely used as an ingredient in North Indian recipes. It is used as a souring agent and a citrusy seasoning to give a tart, tangy edge to a variety of vegetable and non-vegetarian dishes. Budhanti explains how her producer organization, the Champa Self-help Group (SHG) used to do business, “We have always sold our dried mango to the “Kochiya” (local middlemen) who came to our doorstep, but we often got cheated.” The middlemen typically exploited the villagers by manipulating the weight and price of the harvests during the transaction, applying arbitrary rates and undervaluing the produce. In the summer of 2018, TechnoServe, with support from the local SRLM team, launched a pilot program to increase transparency and prosperity along the mango value chain. By connecting self help groups like Champa with an expert team familiar with amchur’s procurement and quality standards, women members learned how to grade the dried mango by its color and moisture levels, and how to get better prices for their product by adhering to quality norms. 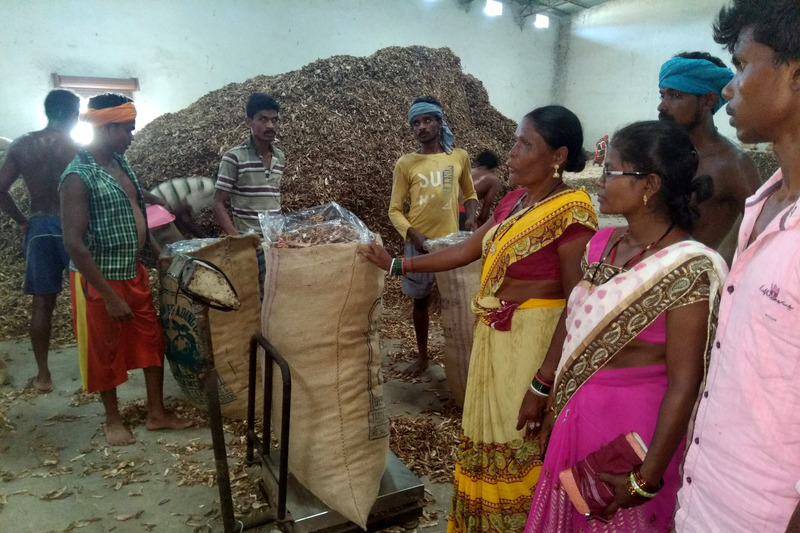 After training, 203 women farmers – representing the SHGs from 14 villages in Bastar district – aggregated their dried mango at the Village Organization level. Unlike past dealings with local middlemen, these business-savvy women now employed digital weighing machines to maintain fair and transparent payments. The bulk produce amounted to 2.1 tons, which was sold directly to Chandan Trading Company – a large trader in district headquarter of Jagdalpur – effectively bypassing several intermediaries. 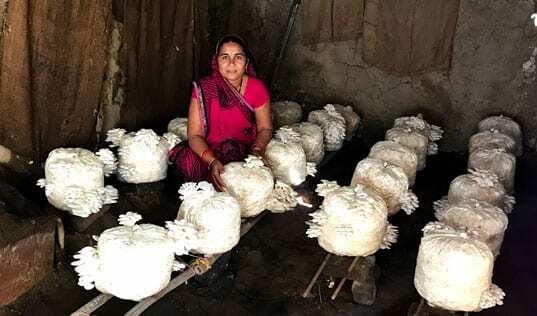 Participating for the first time in a formal, direct value chain, the SHG members received an income of nearly $450, between 15 and 20 percent higher than prevailing market prices. 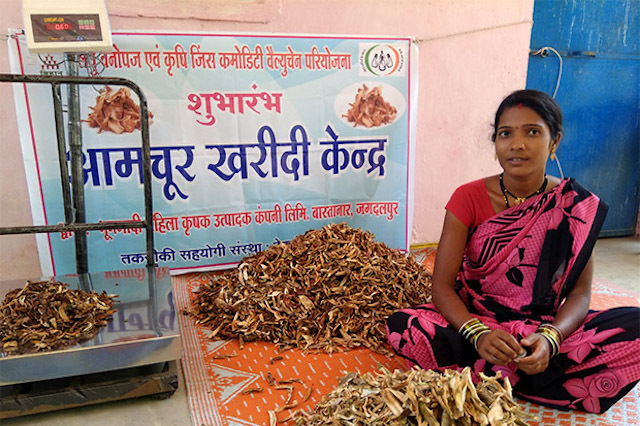 In the neighboring state of Jharkhand, producers are creating opportunity out of a NTFP challenge of an entirely different size. In the rural Angara block, where a population of 100,000 is spread out over 82 remote villages, farmers make a living from the large reserves of forest in addition to selling a variety of crops – such as wheat, rice, maize, pulses, and vegetables – in local marketplaces. Fruit from their own wooded back yards supplement their incomes, but one of these – the enormous jackfruit – becomes a giant nuisance for a few months each year. Farmers usually sell some of the high-quality fruit in the local markets, consuming or gifting away the rest, or simply using it as fodder for their cattle. However, excess jackfruit is a truly elephantine problem. When the ripe jackfruit falls from their trees they can affect local bodies of water, or simply create a considerable volume of decomposing fruit on the ground, posing a health hazard in the heat and humidity. In areas close to the forest, the strong smell often attracts elephants who come to forage. Such herds can completely devastate fields and wreak havoc on other fruit crops as well. 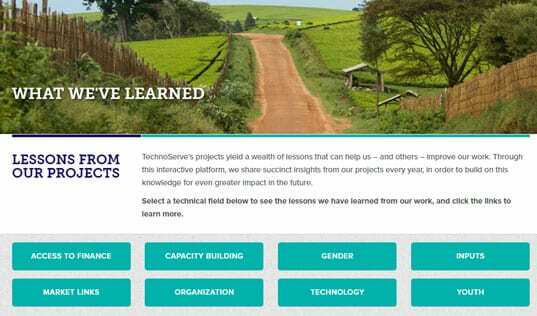 In May 2018, TechnoServe teams began collaborating with the Sarayful Mahila Farmer Producer Company to turn food waste – for human and elephant alike – into a market opportunity, surveying the areas with higher concentration of jackfruit trees and identifying nine locations with the potential for immediate market intervention. 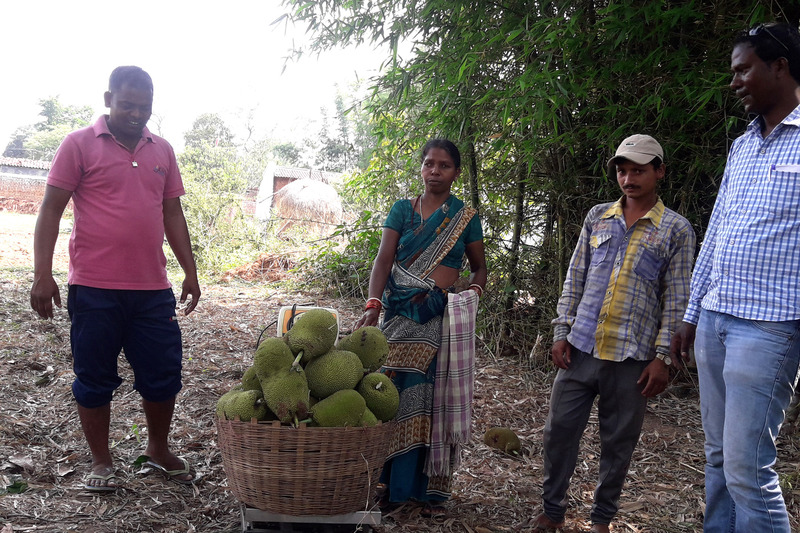 The initiative worked to fix a fair, remunerative price for the sale of the jackfruits and to connect these remote villages with an organized buyer, Safal, the Fruit & Vegetable branch of the large government-owned Mother Dairy. To facilitate the farmers’ entry into formal supply chains, the team helped the Sarayful Mahila to obtain vendor registration with Safal. With support from TechnoServe, 64 farmers contributed a total of 7.8 metric tons of raw jackfruit to Safal by the end of the procurement season in mid-June 2018. The success of the intervention has motivated farmers to consider collective marketing of other crops, and Safal is highly appreciative of the speed and quality of the deliveries. 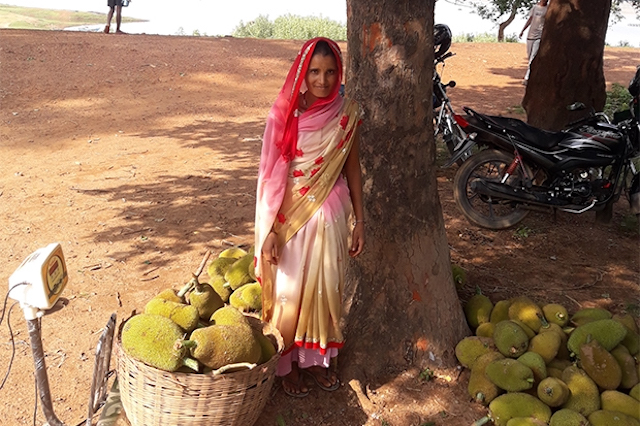 And while the “tuskers” will miss their midnight feasts, the farmers are happy that jackfruit, once considered a nuisance for the community, is now a sustainable source of income.